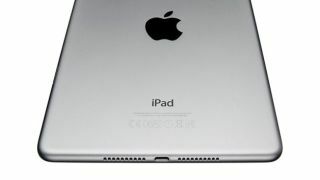 Apple reportedly preparing cheaper iPad mini for spring launch | What Hi-Fi? Apple is planning a fifth-gen update to the 2015-launched iPad mini, as well as a new-and-improved version of its cheaper, 10in iPad, according to Bloomberg sources. The new iPad mini will allegedly be cheaper than its predecessor, which launched at £319. According to ‘people familiar with the plans’, the iPad is expected to have a faster processor and Lightning port, and will introduce new iPad-specific features such as a new home screen as part of iOS 13. As Apple's 2018 iPad and iPad mini event was in March, there's no reason to believe 2019's timeline will be any different - not least as the people have suggested a spring launch. According to the report, Apple is, predictably, planning to this year launch successors to the iPhone XS and iPhone XS Max, as well as an update to the cheapest Apple handset, the iPhone XR. Details are scarce but supposedly they’ll feature an advanced Apple processor and upgraded Face ID sensor. More interesting, however, is a function we could see on next year’s iPhones (and perhaps iPad Pro): a laser-powered, longer-ranging 3D rear camera, which would be able to capture your surroundings to create three-dimensional reconstructions of the real world, and be capable of applying augmented reality overlays providing information about what’s in frame.